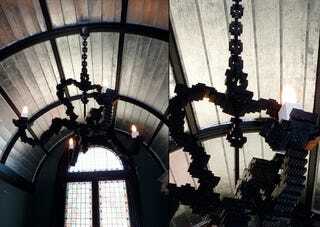 This huge Lego chandelier would have been perfect for the James May's Lego house. If James May's Lego house were actually a castle in Transylvania and he were a vampire, that is. Still, it's amazing that it is 100% Lego.